Like to use your Lomo camera to take awesome photos? Then maybe you would like to turn the film rolls into digital pictures with the Lomography smartphone film scanner for convenient sharing. This is an innovative film scanner designed to offer you a handy way to convert traditional negatives into digital files, and saving into your smartphone. As we can see from the images, the film scanner features a simple and portable design and easy-to-use operations. 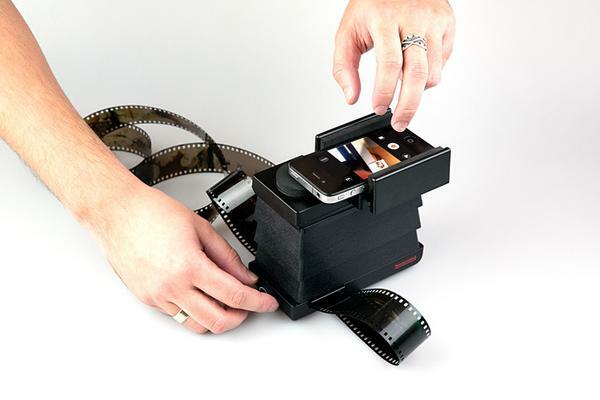 Simply turning on the backlight of the film scanner, inserting your film, and taking a photo with your smartphone on the top of the film scanner, you will get a digital version of your film, and the included app also allows you to edit or share those awesome photos via social networks. The film scanner works with all 35mm films and is good for those unconventional photo formats such as panoramic shots and 35mm analog movies. Apart from that, the film scanner is compatible with iPhone and most Android phones. 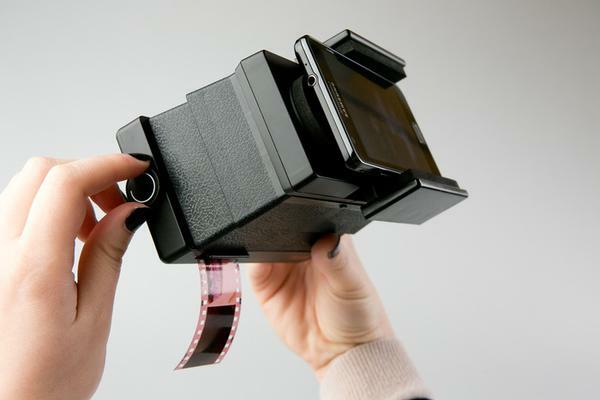 At present, the team of Lomography smartphone film scanner is raising fund at Kickstarter. Pledging $50 will let you own the film scanner. If you’re interested, jump to Kickstarter official site for more details or check out the following demo video first.